A new market-style project is underway at Dublin’s Terminal 1 bringing over 80 new jobs to the airport. The food and beverage dining area is currently under construction and will be accessible after the security screening, reports the Irish Independent. The “Marquette” is expected to open in August of this year catering to 260 people and will be serving locally-sourced produce. 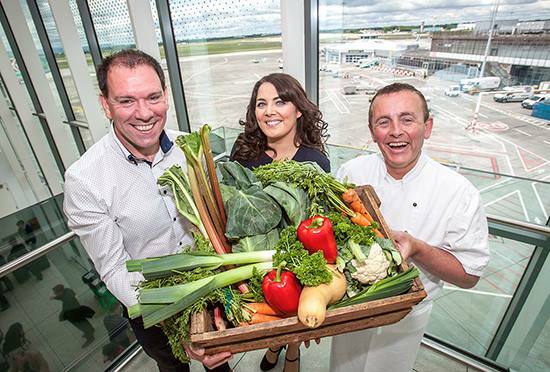 According to Dublin Airport’s food and beverage manager Brendan Dee, the Marquette will have an “earthly, rustic setting” with service operating from 5am to the last flight time. The new dining area is part of the ongoing €8 million redevelopment of retail inside T1. The project has now moved onto its recruitment phase and is currently looking for staff including chefs, kitchen porters, restaurant and bar staff.